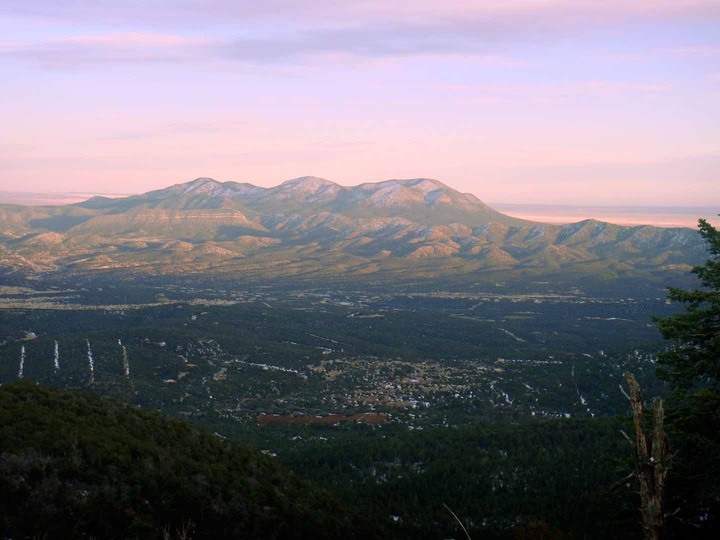 Great view of South Mountain (3 highest peaks), San Pedro Mountains (left) and Monte Largo Mountains (right). Picture was taken in Sandia Park coming down Crest Road at about 9000 feet. The communities are located in this valley.